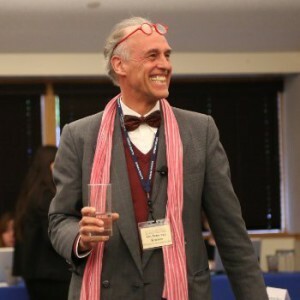 It is with great sadness that THP has learned of the sudden death of Dr. Peter van Krieken (1949 – 2015). Dr. Van Krieken was a well known and respected authority on refugee and migration issues, with his extensive career spanning many fields and geographical regions. As an international civil servant with UNHCR for more than 16 years, Dr. Van Krieken served in Geneva, Stockholm, Peshawar, Juba, Beirut, Sana’a, Addis Ababa and Zirndorf. In between these various assignments, (1983-1987), he headed Stichting Vluchteling 999, a leading Dutch refugee organisation. Dr. van Krieken spent 2005-2008 in Vientiane, Lao PDR, as a UNDP Special Advisor to the Lao Ministry of Foreign Affairs, and received an honorable award upon his departure. Recently he became Honorary Consul of the Democratic People’s Republic of Laos. Van Krieken earned his Ph.D. in International Law from the University of Groningen in 1976, after inter alia having spent a postgrad year with Johns Hopkins, Bologna. He has a long list of publications to his credit on such subjects as asylum, migration, torture, hijacking, statelessness, family reunification, repatriation, health and terrorism. In particular his books Terrorism and the International Legal Order (2002) and The Hague, Legal Capital of the World (2005) have been widely acclaimed. 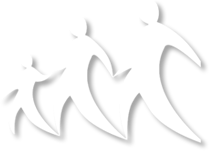 Van Krieken taught at Webster University, Leiden from 1996, and The Hague University of Applied Sciences from 2010. He also lectured as a visiting professor at Webster campuses in St. Louis and Thailand and was a fellow of Webster’s Human Rights Institute. In 2010 Dr. van Krieken was the winner of the prestigious Kemper award for excellence in teaching. Besides teaching, Dr. Van Krieken served as a special advisor with the Government of the Netherlands (MoI) and was actively involved in an EU project in Georgia and Moldova (through ICMPD). Dr. Peter van Krieken was a friend of The Hague Process on Refugees and Migration from the very beginning. He was a defender of fundamental human rights, permanently advocating for their concrete implementation. We remember him fondly as a dear friend and colleague, teacher and motivator, always ready to roll up his sleeves and get down to facts, roots and causes, while inspiring others to do the same. 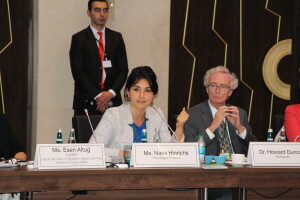 On 15-16 May 2015, The Hague Process on Refugees and Migration (THP) took part in the GFMD Business meeting in Istanbul, hosted by the Turkish Chair of the Global Forum on Migration and Development (GFMD), represented by Ambassador Mehmet Samsar, and the Government of Switzerland, represented by Ambassador Eduard Gnesa. The meeting was moderated by Khalid Koser, Chair of the World Economic Forum Global Agenda Council on Migration. The meeting brought together business leaders from various sectors, government policy makers, and a number of (international) organisations, to discuss labour migration policies and international skills mobility in the framework of the GFMD. – How global competition for skills will reshape labor migration in the 21st century. – The need for international skills mobility. – What companies expect of labor migration policies. – Public-private sector interaction on migration policy. – Matching skills supply and labor demand through public-private action. – ICT Sector Roundtable moderated by Dr. Howard Duncan, Executive Head, Metropolis. – Food/Beverage Industry and Hospitality Roundtable moderated by Ms. Nava Hinrichs, Managing Director, The Hague Process on Refugees and Migration. 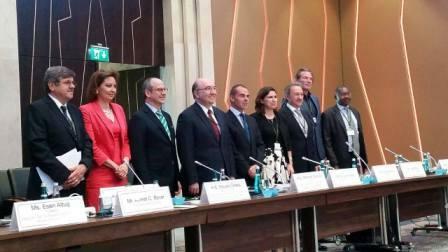 The meeting closed with a proposal to establish a future public-private sector regular interaction mechanism in the framework of the GFMD. Background documents from the meeting are available on the GFMD website. 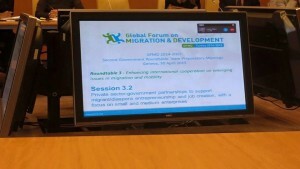 THP was in Geneva this week to take part in a preparatory meeting for the Global Forum on Migration and Development (GFMD) Roundtable on Private sector-Government partnerships to support migrant/diaspora entrepreneurship and job creation, with a focus on small and medium enterprises. Next month we will bring our expertise on the business-cities-migration nexus to the GFMD Business Meeting in Istanbul. A full calendar of activities taking place this year under the Turkish Chair of the GFMD is available on the GFMD website.